Many people like to splurge on designer clothing, fancy houses, or flashy cars. For me, however, the big indulgence has always been travel, at least since I've been able to afford it. Most of us who travel have limited time on our hands. Perhaps we have a week at a time to spend abroad, or just a few days in each city we choose. In those cases, it makes sense to pay more to save what we have the least of: time. To save time, you might choose to pay more for a direct flight instead of one with several stopovers. With this strategy, you could avoid hours spent idle in an airport and instead have more time to enjoy your destination. Similarly, maybe you choose to splurge for a high-speed train instead of taking a slow-moving bus. It costs more, but it frees up more time to sightsee and explore new worlds. I know my husband and I almost always book skip-the-line passes for museums and attractions for this very reason. You pay a premium to skip past the winding entry line, but you often save hours each time. Here's why the premium is worth it: Imagine you're visiting the Colosseum and Roman Forum in Rome. You can get skip-the-line entry into both for around $42, or you can pay $14 for a standard ticket. Since the lines can easily last several hours, you're paying $28 per person to buy several hours more of sightseeing time in Rome. My husband and I splurged for a once-in-a-lifetime experience earlier this year when we were in Bora Bora, which was a bucket list trip in itself. While we were content sitting on the deck of our overwater bungalow for days, something inside told me we should sign up for the quintessential Bora Bora excursion and swim with sharks. After all, when would we be in Bora Bora again, if ever? 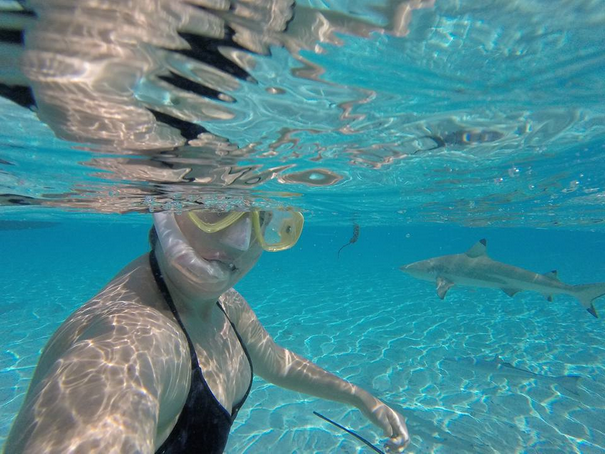 So we did swim with sharks … and it was absolutely electrifying. It was around $100 per person for the excursion, which was more than I wanted to spend at that point, but it was worth it and I would do it again. Traveling somewhere new can be a learning experience in itself, but there's something to be said for hiring a knowledgeable guide. Whether you're touring the Louvre in Paris, seeing China's Terracotta Warriors for the first time, or wandering Vatican City, it's helpful to have someone around who knows what you're looking at. Unfortunately, hiring a guide can be expensive. Websites like Tours by Locals offer access to local guides in 158 countries around the world, but in some cases, the costs can be staggering. Still, the cost can be worth it if you want a private guide of your own. If you want to save, you can also book a guided group tour through a website like Viator.com. Don't forget to check the concierge services or travel portals of your credit card. Group tours are typically less expensive because you have to share your guide with other people who sign up. However, you can still gain the kind of insider knowledge you're after. 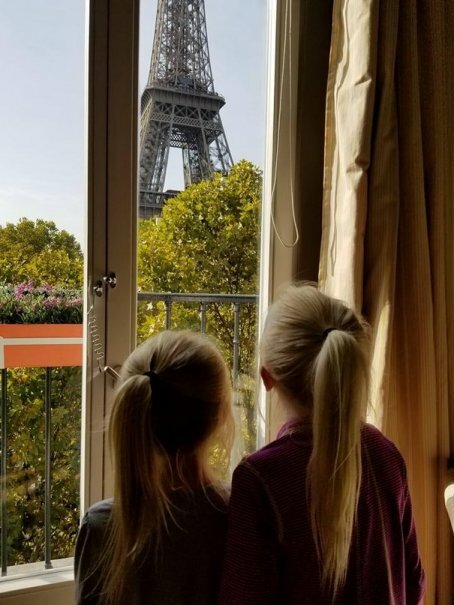 Earlier this year, my husband and I took our kids to Spain and France for fall break. Always trying to save a buck, we mapped out our ideal subway route to get from the Madrid airport to our rental condo. What a mistake that was. Having never used the Madrid underground system before, we quickly found ourselves scaling multiple staircases up and down with four giant pieces of luggage. And since we had to change metro lines three times along the way, we had to go up and down, up and down, up and down to the point where our kids — ages six and eight — were exhausted and crying. Full disclosure, I was pretty unhappy about it, too. And we did it all for what? To save $50 on a taxi to the hotel? It wasn't even close to worth it. The funny thing is, we are usually more in touch with situations like these where our travel experience could be improved if we weren't so cheap. But we spaced out on this one. Whether you're traveling alone, with a partner, in a group, or with your kids, it's easy to settle on a cheap hotel or hostel and justify it by saying you'll never be in your room. While that may be true, I've personally found I'm a lot more comfortable if I have some space to spread out. I've stayed in a hostel with my husband and kids before and it was fine, but some of our best travel experiences have been in places where we've had our own condo and a separate bedroom for the adults. For this upcoming summer, I even splurged for a rental villa with a pool on the Amalfi Coast of Italy. It is easily twice the cost of renting an apartment away from the beach, but I want to relax in our own place without having to travel to soak in the beautiful views. To save money, we'll make most of our own meals and do free stuff in the area. It's a trade-off for sure, but it's one I'm willing to make to get the experience we want. Life is short, and the time we get to travel is often fleeting. Most of us get what, 10-20 vacation days per year? Saving money is important, but it's not everything. To get the travel experiences you truly want, sometimes you have to spend some cash. But don't take my word for it. The next time you travel, try splurging on something you've always wanted to do or paying extra to make your trip more convenient. Chances are, you'll have an experience you won't regret.